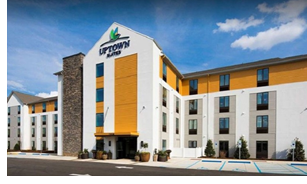 ​​​​ ROUND ROCK – Uptown Suites has opened its first property in Texas at 2006 Grand Avenue Pkwy. The extended-stay property has 129 rooms with in-room kitchens, on-demand grocery delivery, laundry access, and a gym. The grand opening is set for April 11th.